Watching the malayalam film ”Celluloid” directed by Kamal , was somewhat like repaying a long outstanding debt , one which I wasn’t aware I owed. It’s most certainly one which every malayalam movie lover must watch, both for a peep into the beginnings of malayalam cinema , as well as for the finesse with which that phase has been depicted in the film. I regret the fact that I couldn’t see this film on the big screen when it was released and have had to depend on a rented DVD to catch it. I was shamefully ignorant of the name of j.C. Daniel and of his relevance to the film industry as ,I’m sure, must’ve been the case with many others, till I heard of “Celluloid” . Now that I’ve seen it, the sense of remorse is overwhelming. 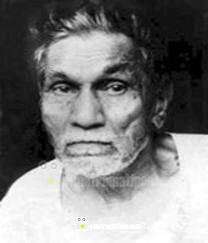 Back in those days , when the film making in India, was beginning to take a foothold in Bombay, Madras and Calcutta, it was J.C.Daniel who got bit by the bug of film-making in the Taluk of Agasteeswaram of the then Travancore Principality. Independence from the British rule was still a long way off and the fences of casteism were deeply grounded in Kerala’s social scenario. Acting was not a profession espoused by women and Daniel’s dilemma of finding a suitable heroine for his film , “Vigathakumaran” (The lost child) , which he embarked upon after selling off most of his landed property, could be resolved only when a dalit girl, Rosamma, agreed to play the role. Her family had just recently converted to Chrisitianity and they had their hut in a corner of a feudal landlord’s holdings. Her father had worked as a cook for the priest of the local church and she and her mother worked in the fields from morn till dusk. The beautiful landscape has been beautifully captured. “Celluloid” is a period film and Kamal has been able to recreate the ambience of the 1920s for the present day audience. The eagerness of the nascent film-maker , Daniel, , who is the producer, director and the male lead of his film, as he goes about arranging for the funds, procuring the equipment, setting up the studio and getting together a crew , is palpable and infectious. One realizes how much more courage, hope, determination and imagination goes into any kind of pioneering work and how much more the costs of failure impinges on one’s life , when everything one had was invested into the attempts to fulfill a dream . 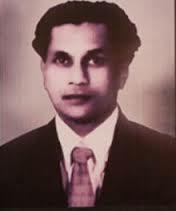 Daniel’s film, the first motion picture made in malayalam (well not in malayalam , really, as sound had not then yet been introduced ), was doomed from the beginning , not because of any flaw that could’ve been ascribed to any of the aspects of the film itself, but because some upper caste representatives of society deemed it blasphemous that the heroine was from a lower caste. Daniel is forced to sell off his house and remaining property and leave for Madras with his family, where he manages to pick up his life and even prosper as a dentist. That is, till the bug bites him again and he plunges himself into a disastrous second attempt at making a film. From there on, it was a steady downslide, left alone to linger slowly into old-age and blindness , with just his wife , who continued to be his support , despite all the adversities and traumas that had plagued them. Daniel’s story would’ve been left undiscovered had it not been for the tenacious diligence with which a film journalist tracked him down and traced out the story from the conversations he had with Janet, Daniel’s wife and later engaged in with Daniel with a lot of initial resigned reluctance from the latter’s side . Chelangat Gopalakrishnan’s role (played by Srinivasan) @ in restoring Daniel’s rightful place as the path-breaker of malayalam cinema is indeed praiseworthy as is Kamal’s effort through “Celluloid”. The film is beautifully made. Prithviraj as C.J. Daniel and Mamta Mohandas as his wife, Janet, have done remarkably well. Even the songs were in tune with the music of those times . The make-up , particularly in the matter of Daniel’s and Janet’s aging countenances , is subtly executed and doesn’t stick out , except for the aberration l of Janet’s smooth hands, which did not show the same ravages of time that was depicted on her face and hair. If that’s nit-picking , well, these are the small nuances that either dilute or enhance otherwise perfectly made movies. I’d say that the proof of a well-made film is that the emotions of the audience run parallel and yet in the same groove as that of the characters in it and this “Celluloid” did achieve as far as I was concerned. One felt the same impatience and frustration at the snootiness of the Bombay heroine whom Daniel had initially chosen for his film, as he himself is shown to have experienced. The sense of elation after the filming of the first scene and the rush of pride and contained thrill when he looks at the first ribbon of celluloid with the visible fruits of his maiden efforts could be instantly transferred. When Rosy , the lower caste heroine is found squatting in a corner of the verandah outside, having her humble gruel from a small carrier, instead of joining the others at the dining table, one feels a twinge of that collective guilt. It was heart-rending to watch Rosy being pushed aside on the screening day, because the dignitaries, so to speak were scandalized to learn that they would have to watch the film in her vicinity. Chandni, who performed the role of Rosamma(Rosy) in the film, does steal our empathies and when she gulps down her emotions , standing outside the theatre , hearing her name being announced , but unable to watch herself on screen, one begins to choke as well. And one was ripped by anguish when she had to flee away from the hostile group who had burned down the hut they lived in and was bent on killing her. As a viewer , one felt horrified too at the kind of exclusiveness that had marred the social fabric of those days .. There are many such touching moments in the movie, like when Daniel places some money in the hands of the projector operator, as a token of his happiness, just before the film starts rolling and the abject look on Rosy’s face when she is told that all her scenes had been completed. One could gauge her sense of loss , not just because the joy of acting had come to an end, but also for the fact that during the brief spell when she enacted the life of an upper caste heroine , the reality of her real life drudgery had been sublimated. One’s heart was heavy too, as she slowly removed the jewellery that she had been wearing for the role and the make-up artist smeared oil on her face to remove the pancake that had transformed her dark-skinned complexion to match that of the role she was playing . Daniel’s story is also that of the not so common marriage in which a spouse totally shared the dreams of the partner, even when the outcome was shrouded in uncertainity and of unconditional moral support even when those dreams hit the dust. Often the loneliness brought about by failure is accentuated when the one closest to you becomes your most vociferous critic. At least he was fortunate that way. Malayalam cinema indeed owed this tribute to J.C.Daniel. This post is my tribute to Kamal who went about doing it with this beautiful film on our behalf. I’d even say that if “cinema Paradiso” earned international acclaim, why this film surely deserves it no less. I have been in love with foreign films for years – especially those of Japan and the Bollywood films, which take an entire day to watch, plus the films from India that are not of the dancing variety. I knew nothing of JC Daniels or the Malaysian tradition, but I will Netflix Celluloid if I can, because it sounds thoroughly intriguing. Also, I love old films, because the filmmakers never realize they are capturing an entire way of life on film… like the old Hitchcock films he made in England. That is a surprise Amy , a most pleasant one….your watching bollywood films ,I mean. 🙂 Malayalm film industry churns out much better stuff than the bollywood (hindi )films. They are much more rooted in reality although the songs and dances are an absolute must for most producers and directors. But there are many, where the songs, if at all are used only as a background to supplement a scene and does not take away the intensity or authenticity of the scene. Do try out a few malayalam movies .I’d only be too glad to suggest a few titles…old and new. This a wonderful review as well as a moving tribute to the struggle of several pioneers of cinema. A must watch film for me now after reading your words. TKS FOR SHARING AN EXCELLENT CRITIQUE.U HAVE SURPASSED THE PROFESSIONAL FILM CRITICS.DO KEEP WRITTING.